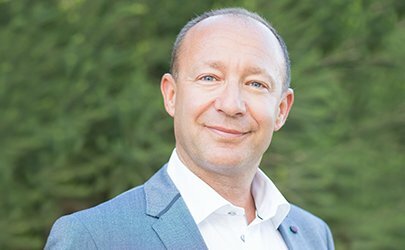 As we almost reached Xmas we were lucky to catch up with Sunshine Weddings Spain founder Scott Gibbons to talk about what an exciting year 2017 has been for him and his bridal couples. We also discuss the joys of marrying in Spain and what exciting things he has in store for 2018. The days are getting shorter and the evenings cooler. As winter fast approaches, Sunshine Weddings Spain begin to wind down after a busy summer. The wedding season in sunny Spain is a long one, as early as April until late October, so our team has little time to catch their breath before the fun begins all over again. 1. Sunshine Weddings Spain has seen a record number of successful weddings this year. What do you think is making bridal couples flock to Spain? 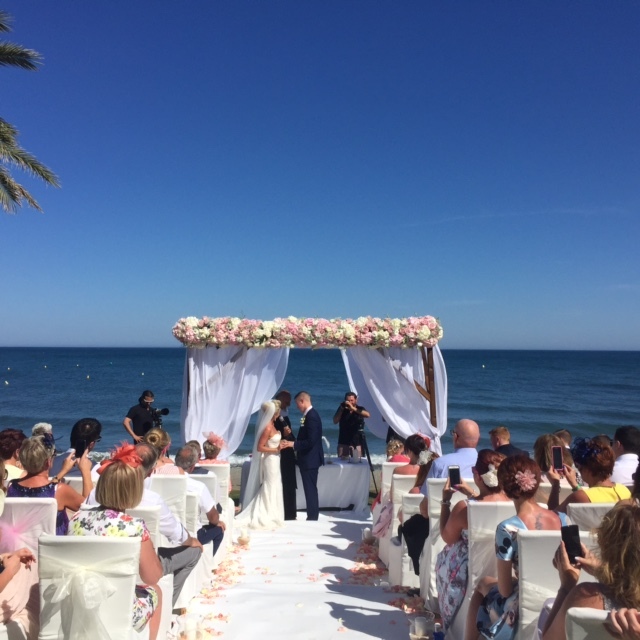 I’ve planned many weddings in many locations around the world, but I can honestly say that nowhere offers the perfect mix for a perfect day like Spain – be it Mallorca or the Costa del Sol. They offer over three hundred days of sunshine a year, blue skies, an amazing array of mountain and beach-side venues, excellent value for money and flight availability from all over Europe. What more do you need for an unforgettable destination wedding? 2. You have been a wedding planner for fifteen years now. 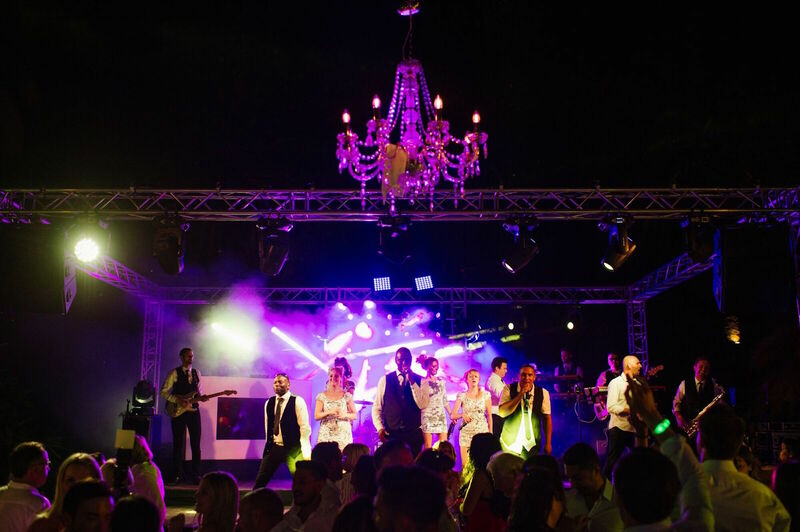 What do you love about planning weddings on the Costa del Sol and Mallorca? It’s all about the people. Every day in my line of work I get to meet different couples and their families from all over the world. Because every wedding we plan, and every bridal couple’s vision, is different – it means I also get to learn about different nationalities and their cultures. The favourite part about my job is listening to the couples’ ideas and helping them bring their dreams to life. I work with a great team and some fantastic suppliers, so it’s always a joy to watch the couples’ wedding concept evolve into a perfectly planned wedding day. The settings in Mallorca may vary to those found in Marbella, but they are both rich in charm and their own unique culture. I’m lucky that I get to travel between the two while planning some really great weddings. 3. Tell us something about a wedding you planned this year that you’ll never forget. 4. If you had one piece of advice for couples looking to get married in Spain, what would it be? Pack enough sun cream – there’s nothing worse than being bright red in your wedding photos. Also, be prepared for a totally different and exciting wedding experience…weddings in Spain are not like the ones in the UK. The most important thing though is to enjoy the day and treasure every moment. Wedding planning can take a long time, but the day itself flashes past so quickly. 5. What are you looking forward to the most about 2018’s wedding season – and what are your goals for next year? We have some wonderful couples getting married next year and some really special days to organise. 2018 is looking even bigger and better than this year (and I didn’t think I’d ever say that). My focus for 2018 is to keep building on the huge amount of reviews we’ve received on social media this year. We are currently at forty five-star reviews on Facebook and I would love to reach 100 by the end of next summer. I’m so proud of the fact that not only have we planned some really successful weddings this year, but that our bridal couples are so happy that they want to tell the world how great we are too! I would like to thank all bridal couples over the past 15 years for placing their trust in the Sunshine Wedding team and everyone is highly excited for what 2018 has to offer!